Sandbox VR combines the latest VR hardware technology, movie quality real-time motion capture rigs and AAA-quality content that announced the launch of their third and most ambitious game to date — Amber Sky 2088. Amber Sky 2088 allows players more control over the game compared to the other two (The Curse of Davy Jones and Deadwood Mansion) that were previously released. In this game, players get to choose between an attack or defence role. The gameplay experience is heightened by the set-up, the narrative, and the graphics for a full adrenaline action immersion. 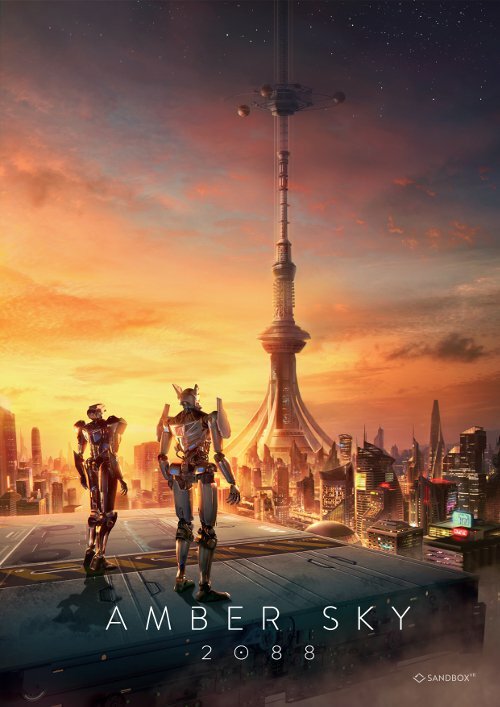 In Amber Sky 2088, you’ll embark on a journey in the futuristic city of New HongKong and soar through the clouds. As you take in the cityscape, the curvature of the Earth, and space itself, the Rancor invasion happens. Tip, give the most enthusiastic players of your group the roles of Defenders and you have a better chance of surviving! The attacks come quick and fast as you are elevated vertically towards space to secure the mystery package. Get ready for 30 minutes of non-stop action andteamwork as Earth’s last defenders in a multi-sensory experience. To fully immerse yourself in the experience, players are required to suit up in the gaming gear provided. Players are fitted with a VR head-mounted display, a headset, a backpack PC, a haptic tactsuit and motion-capture devices on their wrists and ankles. These devices will ensure that the players will be able to communicate with the game master, as well as their teammates. The haptic tactsuit is embedded with more than 40 vibration sensors, allowing players to feel every hit, exactly where they were hit, during the game. There are three parts to the whole Sandbox VR experience. Players will undergo a brief introduction on the gameplay and then proceed to suiting up. Thereafter, they will spend the next 30 to 35 minutes in the virtual realm of their selected game. Once they have completed the game, players will be able to view their generated video highlights in-store and they have the opportunity to share them with their friends! Sandbox VR is located at Orchard Central, #05-31, 181 Orchard Road. To book your experience, simply visit www.sandboxvr.com/sg to select your preferred time slot and game.